From Courtship to Court. Do you need litigation? Divorce is hard on adults and children alike. But, unlike adults, children have little or no say in what happens. Even if you were not the one to initiate the divorce, no doubt there are many decisions you will get to (have to?) make, perhaps including whether to remain at your current job, and which neighborhood to live in. Our kids, on the other hand, will live and attend school where we (or a judge) decide. None of us like to feel out of control, and where we can, it is wise to grant our children the power to make their own decisions – up to a point. Let’s take the example of a new home. Pretend that you have agreed to move from the marital home. As the adult, where you live has to be up to you. It is your job to know your finances – or to get help in understanding them if you don’t. What neighborhoods can you afford? Will you rent a home, or buy one? How close to work and/or public transportation do you need to be? Where are the schools, doctors, and houses of worship that you deem best for your family? The list of considerations can be lengthy. Then there are other matters – ones that children (depending upon their ages) can decide, within the boundaries that you set out. Before actually moving in, I asked my daughter if she wanted to see the apartment before furniture arrived, etc. Not only did she say yes, but her mother joined us for the initial visit, implicitly giving our daughter a message of support regarding our new home. My daughter led us around the apartment, showing us the different rooms. She wanted to play hide and seek, and the premises being safe, we did. She asked if a particular closet could be used as our “art closet”- a home for markers, crayons, and construction paper – and I enthusiastically agreed; to this day, it serves that purpose. We went to a store, and she decided on the bed she wanted, again, because she wanted to do so. My daughter also helped to make decisions on what pictures and posters would adorn the walls of her room, our refrigerator and the inside of the front door. We picked up a shower curtain that she liked, with an aquatic theme, colorful and fun – and another imprint of hers on our new home. The games and books that remained at her mother’s stayed there for the most part because those were the ones she chose to keep there; the ones she wanted by us, we brought. Additional factors eased the transition. The new apartment (we’ve been here seven years) is in the same neighborhood as the old; in fact, only a block away. My daughter was able to go to the same school, keep the same friends, and continue to visit her grandparents frequently. If something is forgotten or wanted from the other home, a phone call and a short walk take care of the problem. Being Sabbath observers, the close proximity of our daughter’s two homes allows her to be with both Mom and Dad on the same Saturday, and on other religious holidays when we don’t drive. We are all individuals, and our children are unique. The steps that I took might not be possible or desirable in your situation. Still, the bottom line is that we, as parents, can do a great deal to make the transition from living in one home to two homes more comfortable and less scary for our children. Part of this unquestionably difficult experience can even be fun and empowering for them, if we are thoughtful and creative, and plan well. New York City and Long Island based divorce mediator and collaborative divorce lawyer Lee Chabin, Esq, helps clients end their relationships respectfully and without litigation. 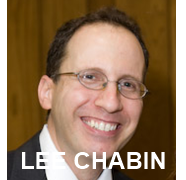 Contact him at lee_chabin@lc-mediate.com or 718-229-6149, or go to http://lc-mediate.com/home. In addition to being a divorce mediator and collaborative lawyer, Lee serves pro bono on the Joint Committee on Fee Disputes and Conciliation as an arbitrator and mediator. Lee is a graduate of the Benjamin N. Cardozo School of Law (1990). He received mediation training from The Center for Mediation and Training in 1997 and 1998. Lee received additional Custody and Visitation Training as well as Parent-Child Advanced Training from Community Mediation Services in 2007. Lee is a member of the New York State Bar Association and the Family and Divorce Mediation Council of Greater New York. He has spoken on Divorce Mediation as well as on Helping Children of Separation and Divorce at: · Public Schools, · The Queens Library, · Parents Without Partners, and, · The Mid-Island Y JCC. Lee has also been a presenter for the Assisting Children Through Transition (A.C.T.) Program, a court connected educational program for separating or divorcing parents. It is part of the statewide Parent Education and Awareness Program (P.E.A.P). In September of 2011, Lee began writing a column on Separation & Divorce for NY Parenting and its associated print publications. Share your thoughts here and in your network.